This year has been a whirlwind of craziness. At least once a week I would think to myself that I need to try to start up my blog again, but there never seemed to be the time. The long and short of it is, I got a real big girl full time job, so the past few months I have been working 40 hours a week, still doing grad school work, hanging out with friends and family, and still try to get some crafting in. 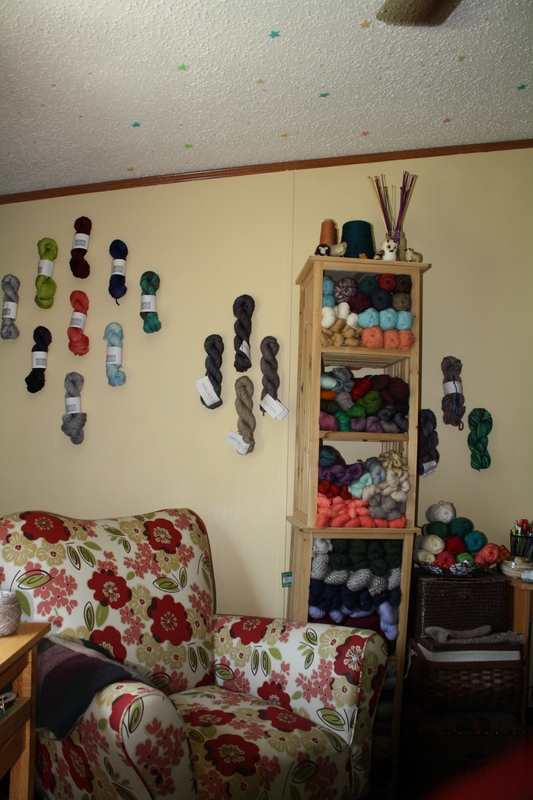 This year I won’t be doing a knitting recap, because I really have made that much stuff this year. But some exciting stuff has been happening so for my first post back I will just let you see my year in instagram photos. Oh and by the way exciting news I got a spinning wheel! Well I hope to get back to making this more of a regular thing. I hope you all had a lovely Christmas and that you will have a happy New Year! Here is my latest spin and I am so proud of it! It’s called Pot Luck and I got 274 yards 2 ply out of 4 oz and I would have to say that it is pretty much a sport weight yarn. Here’s a picture before I started plying it. 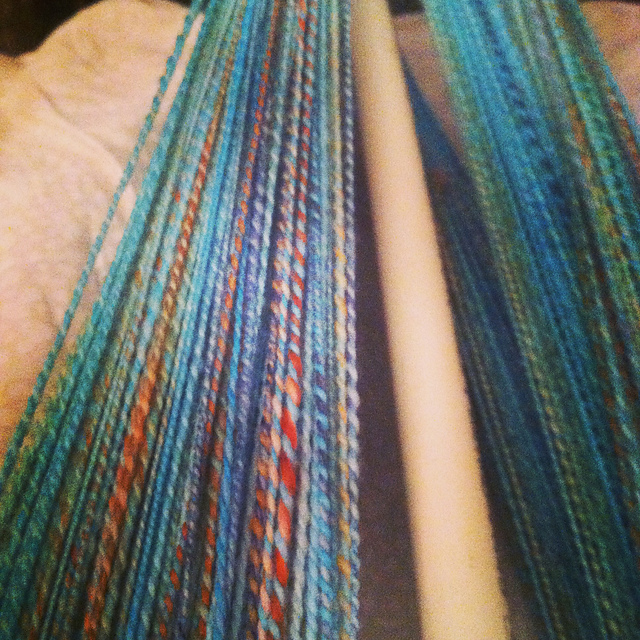 Plied and on the niddy noddy. After it’s bath, with a little mini skein of leftover. I couldn’t be happier with the progress I have made. I am sorry for the blog being silent for so long, but I hadn’t really had much to say because nothing was getting finished. I should have some more posts coming your way soon. The Tour de Fleece is happening right now and I am participating, but not as much as I would like because my time is so limited. Here are a few pictures of what I have done so far. Isn’t it pretty? Its a polwarth/silk blend and I absolutely love it. I think I have enjoyed this fiber content the most to spin with. I will give you more detail about the yarn once I finish it. So far it seems to be my most even spin yet, but I will have to wait and finish to see if that is true or not. 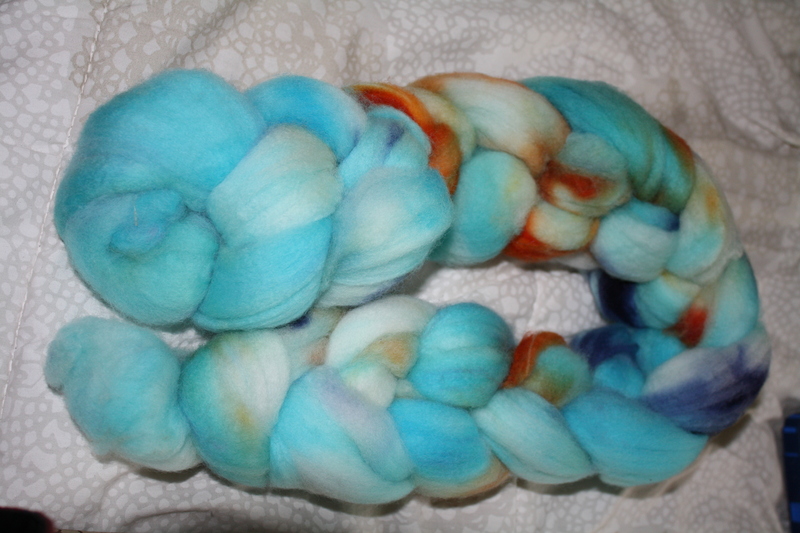 Have you been spinning in the Tour de Fleece? What have you been spinning lately? Nothing can steal all of your free time like two part-time jobs and being a full time grad. Just recently I got a new part-time job that I have been putting in anywhere from 25 to I think maybe 35 hours on top of babysitting for a new (I switched families) family part-time. 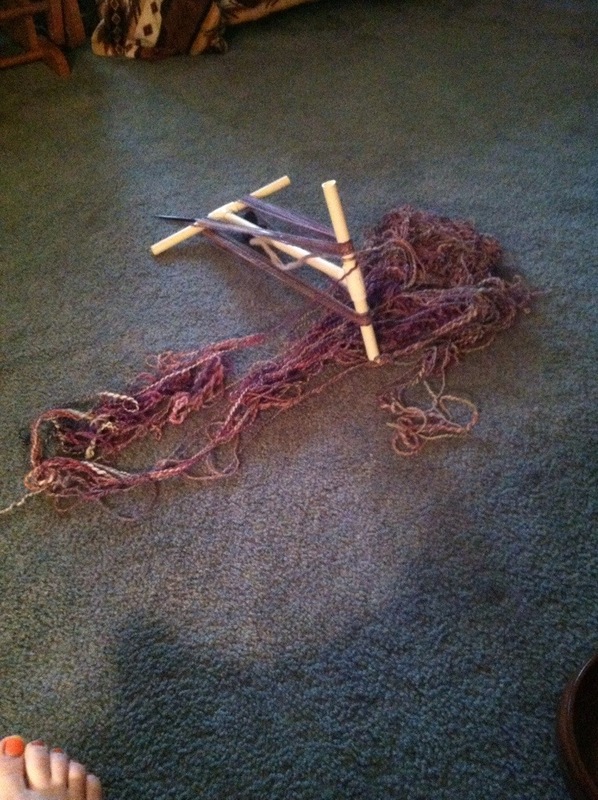 Needless to say there hasn’t been much spinning or knitting happening recently. Just recently have I started finding time to squeeze it in and I am seeing some progress being made (not as much progress as I am used to though). 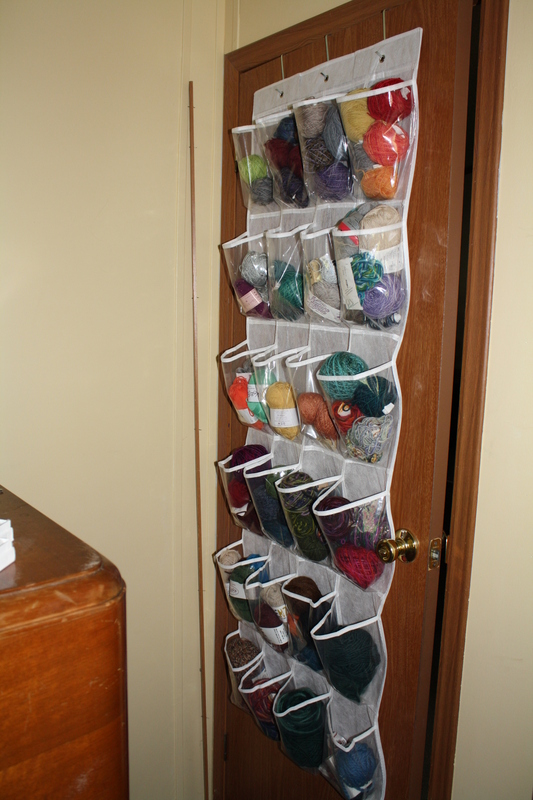 So I figured until I had some time to talk about what’s on my needles or spindle and until I finish something I figured I would show you my newly organized stash. Large amount of scrap go in the tubs (like when I have one or two skeins leftover from a sweater). 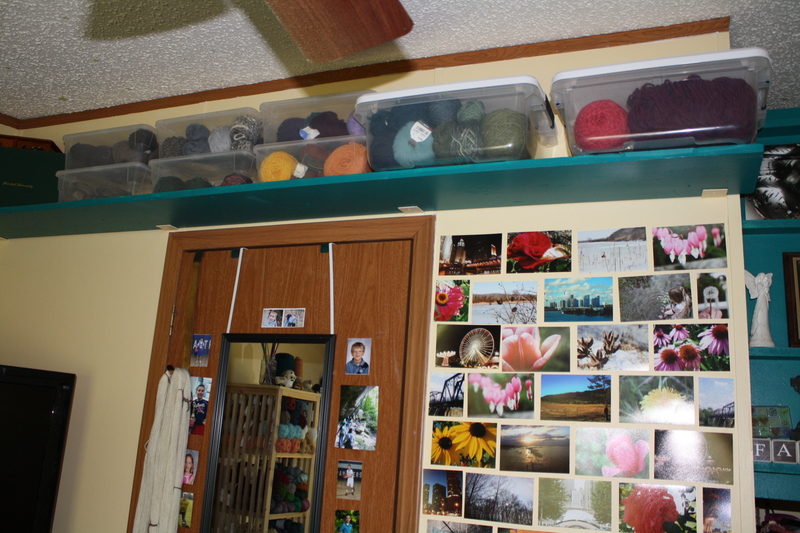 My favorite yarn get’s hung on the wall as art. I used to love having my stash on display and seeing everything that I can look forward to working on, but just recently with how busy I am this is the first time in my life that my stash is actually stressing me out because I hardly have time to work on it. For my second handspun project I decided to try out a different breed of sheep for the fiber, try a dyed fiber, and to try to ply it. Even with all of those firsts I think it came out really well. 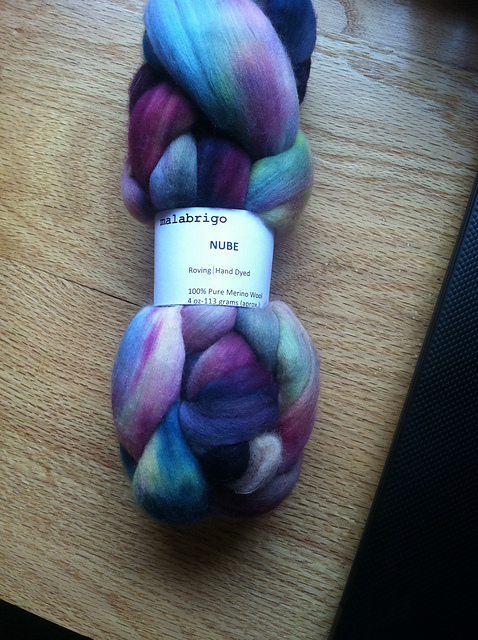 The fiber brand I purchased was Malabrigo’s Nube. I was warned by an experienced drop spindler to no expect a very even thin yarn, which I am glad that I received that warning because I would have been very frustrated if I tried to produce a thin yarn. If you have ever worked with Malabrigos single ply you have probably have seen that the yarn in places is slightly felted together, that is also the case with their fiber. It isn’t necessarily felted together, but the fiber doesn’t want to draft out that much. 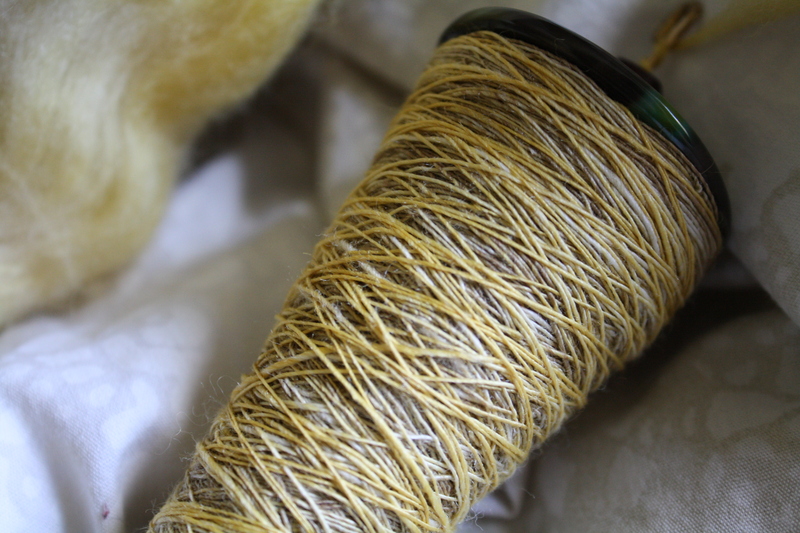 Here is the fiber before I went to spin it up. The fiber is a 100% merino wool which I found slightly more difficult to work with also because of its short staple. The color of this fiber is gorgeous though, the colorway is Arco Iris and totally made up for any difficulties I had with spinning it. 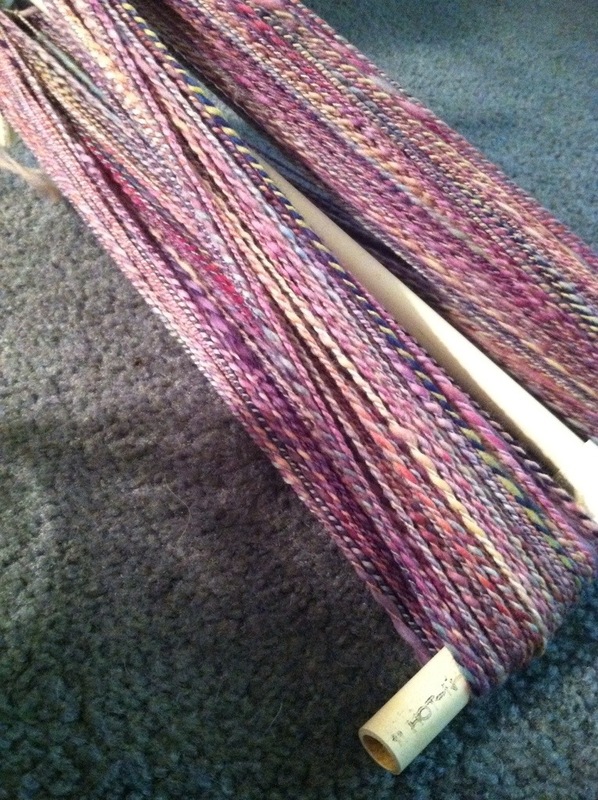 This is a picture of the first half of the braid spun up. Here’s a picture of the two singles right before I went to ply them. 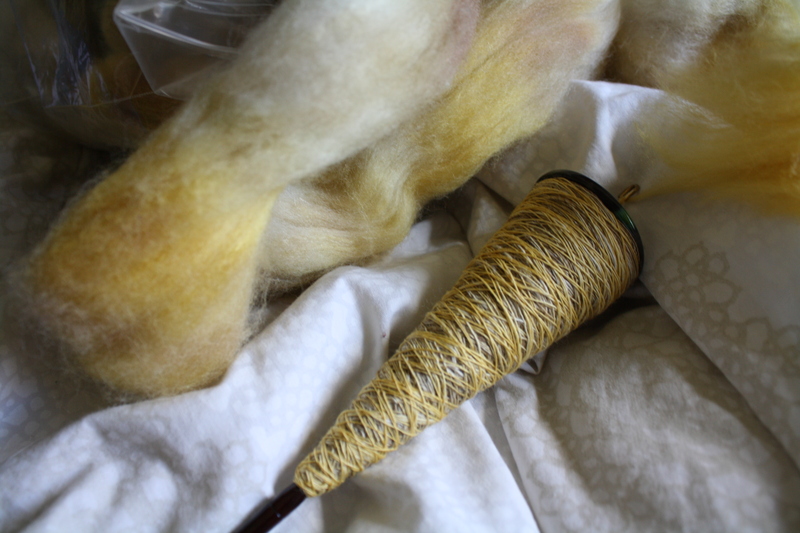 My twist direction for the singles was a S ply (meaning I spun it up clockwise) and then when I went to ply it I did Z ply (meaning when I plied it I spun the spindle counter-clockwise). While I was taken the plied yarn and wrapping it on to the niddy noddy one of the pvc piping t-connectors snapped and all of the yarn flew off of the niddy noddy turning into the picture above (the t-connector is fixed in the picture above which is why the niddy noddy isn’t in pieces). Now here is the final product all washed and pretty. I haven’t checked the yarn weight yet but there is 165 yards to 4oz. Even with the issues I had with the fiber not wanting to draft out, I am really happy with the end result and I feel like I will probably get more Malabrigo fiber at some point. 1. Why did you start this blog? 2. What’s your favorite craft? 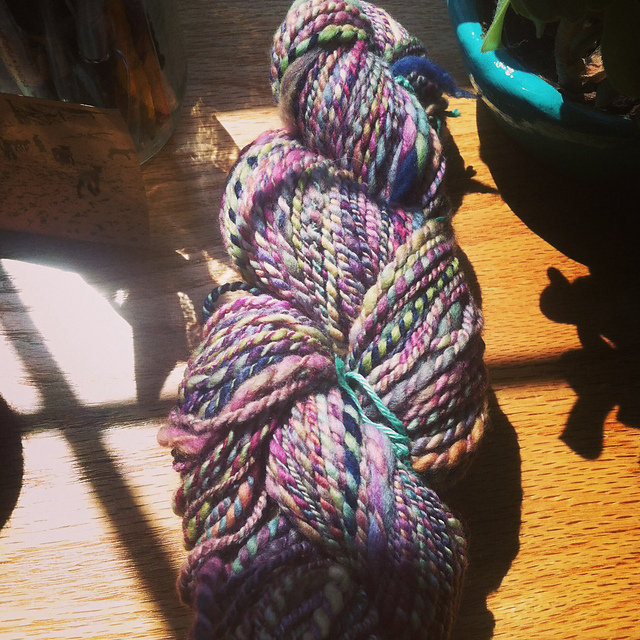 Spinning, knitting, or yarn dying? 3. What is you favorite knitting, spinning, yarn dying, and/or general crafting book? 5. 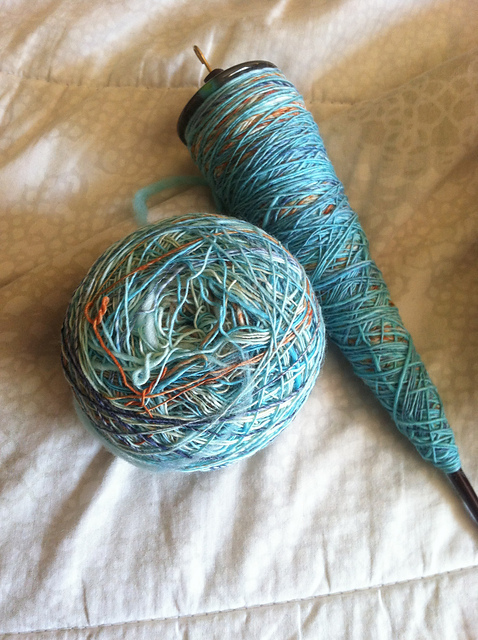 When did you start knitting, spinning, and/or yarn dying? 6. Why did you start crafting? 7. How long have you been crafting? 9. What is your favorite type of project? 10. What’s your favorite knitting, spinning, and/or yarn dying magazine? Please check out all of these blogs! I have been inspired and have learned various things from all of these blogs. And to my nominees, thank you for blogging and sharing your love for your craft. I hope you all have the opportunity to participate in the award! I can’t wait to read your responses to my questions and to see who you nominate! Hello to all of my wonderful followers! 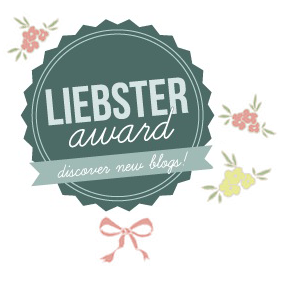 Just recently I was nominated for the Liebster Award by Mika, author of the blog The Novelty Knitter! I was honored and more than happy accept, I never imagined that my blog would be as popular as it is now and I only have you all who read the blog to thank for my success. 1. Answer questions from the blogger who nominated you. 2. Nominate 11 new blogs with 500 followers or less. 3. Post 11 new questions for your nominees to answer. 4. Tag your nominees and leave a comment on their blog letting them know they have been nominated. I started this blog after my friends who were knitters graduated from college and moved away leaving me with no one to talk about knitting with. So I created this blog essentially as an outlet to talk about my knitting and whatever other crafts I was currently into so I wasn’t boring my friends and family who weren’t knitters. 2. What are your goals for your blog? Honestly I never imagined anyone would ever read my blog or at least not read it regularly. I guess if I had to choose a goal it would be just that my blog would be inspiring, helpful, and encouraging to whoever choose to read it. 3. What are your sources of inspiration? My sources of inspiration are vast. I am inspired by other knitters, crafters, spinners, nature, design, art, people, and well just the world around me. 5. What are your other hobbies besides blogging? I have many hobbies. 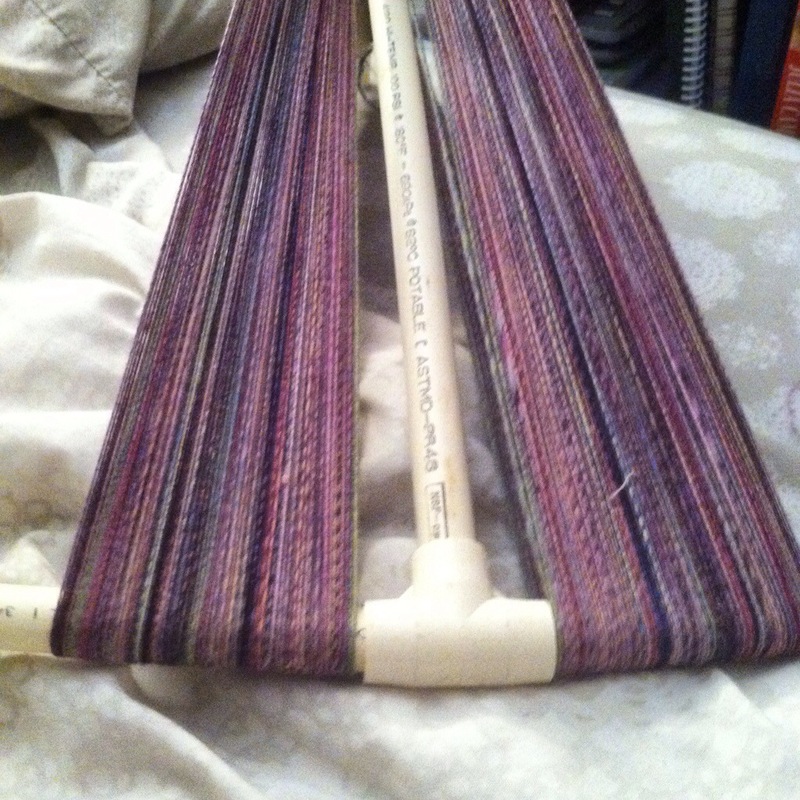 Of course I love to knit and spinning is also becoming a favorite of mine. I also like to sew, take photos, make jewelry, and do other crafts. Honestly I have no clue why I started crafting, I have just been doing it as long as I can remember. I guess I craft because it makes me happy to create things. I have been a serious crafter since 2009, but I have been doing crafts for as long as I can remember. Oh this question is a tough one. I would have to say that Northbound Knitting is one of my all time favorites. 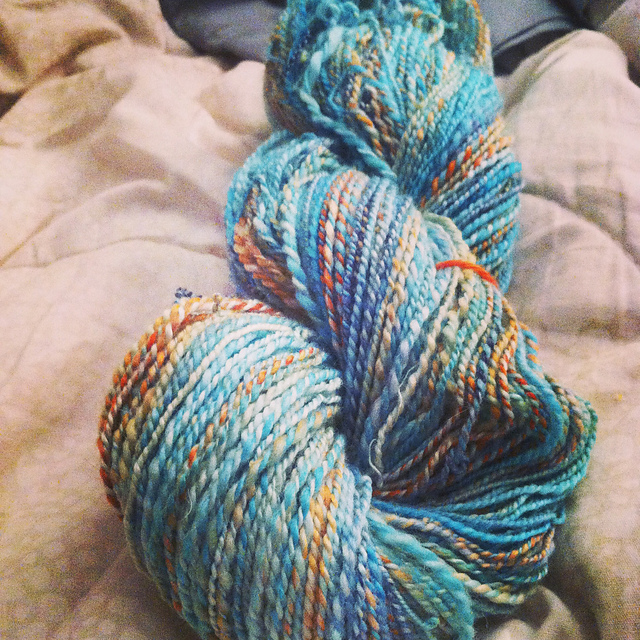 I also really love Madelinetosh. Those two are at the top then my other favorites are: Brooklyn Tweed, Quince & Co., Malabrigo, Manos Del Uruguay, Cascade, Dream in Color, and Luna Grey. My favorite project type would have to be either sweaters or shawls. I seem to make those the most. 10. Vogue Knitting or Interweave? I’m definitely an Interweave person. I have actually never purchased a Vogue Knitting magazine. This is another tough one to narrow down, but here it goes. I like Jane Richmond, Babycocktails, Lisa Mutch, Veera Välimäki, Shannon Cook, Alicia Plummer, Savory Knitting, Bristol Ivy, Amy Miller, Martina Behm, Hilary Smith Callis, Isabell Kraemer, Cecily Glowik MacDonald, Hannah Fettig, Dieuwke van Mulligen, Gudrun Johnston, Stephen West, Hiroko Fukatsu, Jared Flood, and Melissa Schaschwary. I know there are even more designers that I like, but these are the ones that I either have made quite a few projects from or am planning to make more of their designs in the near future. *I will post the people I nominate and their questions in my next post. 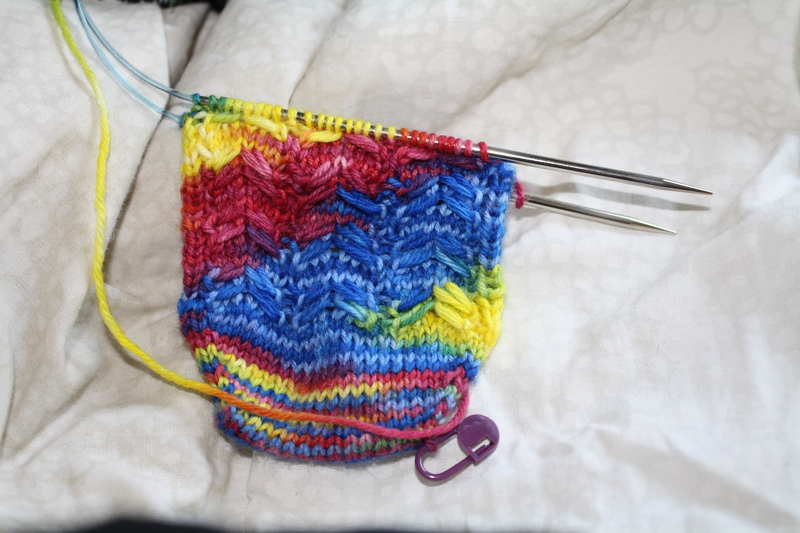 Variegated yarn is oh so pretty, but in my opinion oh so difficult to work with. It’s hard to work with because it is difficult to find a pattern that it would work for. 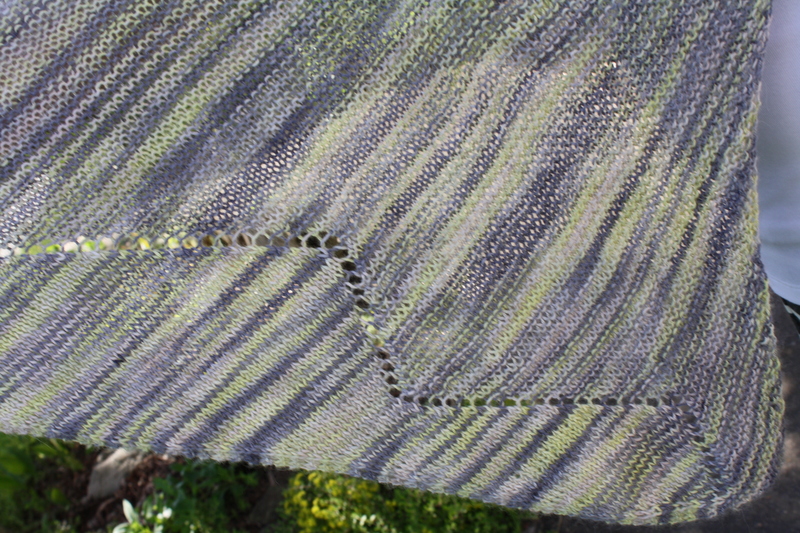 Like I referenced earlier in the blog that highly variegated yarn is a hard medium to find the perfect canvas for. The reason it is so difficult is because you need a blank canvas so the yarn doesn’t distract from the pattern/project. Another thing that you need to think about is the fact that variegated yarn has a tendency to pool. I for one am not a fan of pooling. The socks are a great example of pooling, but it works because it makes a spiral. The only thing I’m kind of concerned about is that I am afraid that the pattern is getting over shadowed by the pooling, but I am moving forward with it because it is a sock so it won’t be seen as much as other projects. 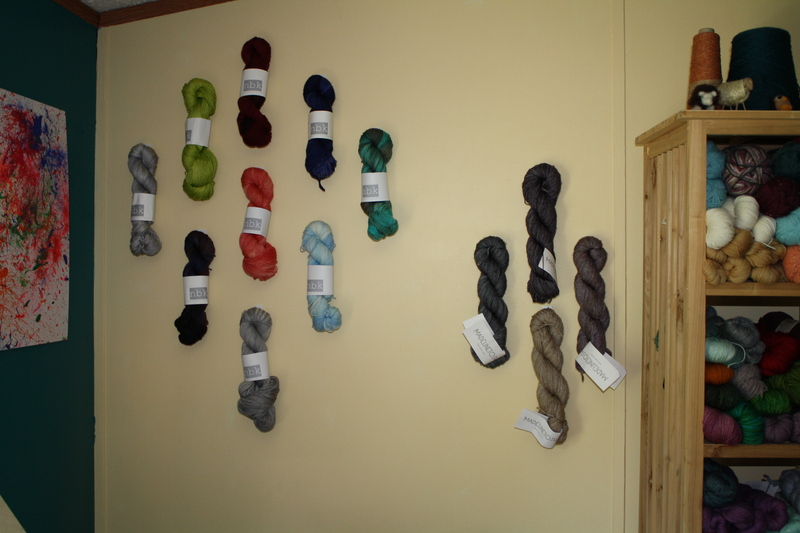 For those reason I haven’t purchased a variegated yarn in about two or three years now. Now you may be wondering if I haven’t done it in that long and I have such strong reservations how is it I have finished to projects recently with variegated yarn and that is because when I purchased it I didn’t know that it was going to be variegated and so when it came to me I had to be creative and find projects that would do the yarn and the pattern justice. As you probably have seen if you read the blog posts about my Trillian and Deviate I have found a few perfect patterns for that work great with variegated yarns. 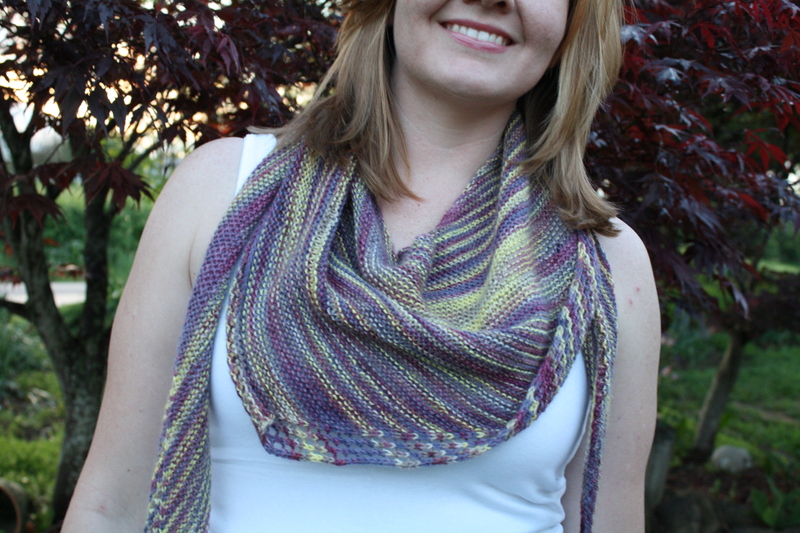 Martina Behm (designer of the Trillian) has many other projects that would work for variegated yarn. 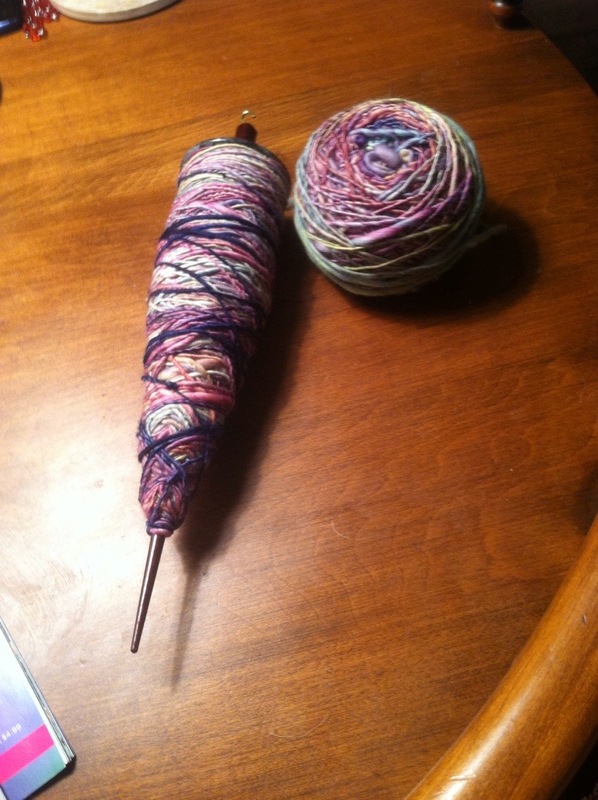 With all of this being said I have changed my stance on variegated yarn. No it won’t be my go to purchase, and no I won’t be going out and buying it all the time. 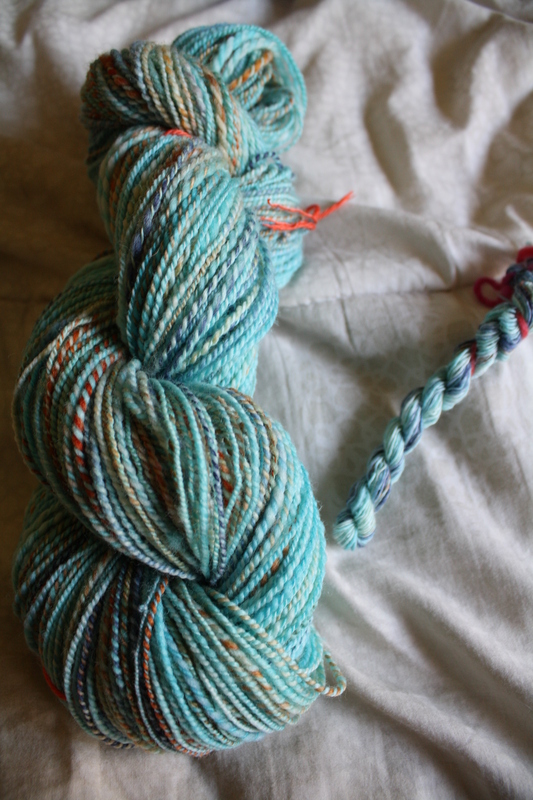 But when I find a great variegated yarn I will probably get it, it will probably be an impulsive buy, but that is okay.